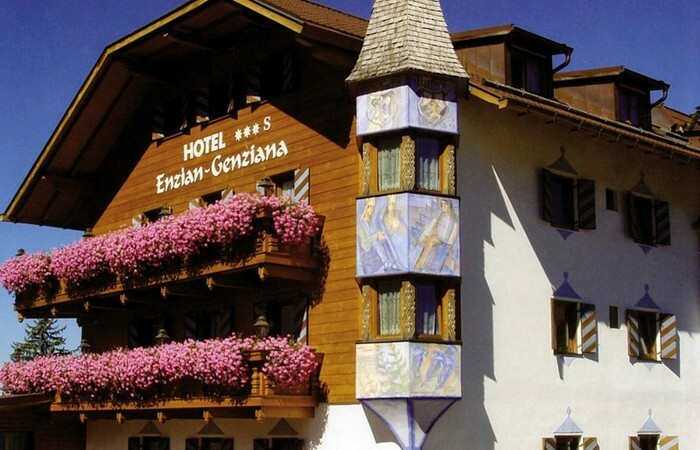 A warm welcome at the wellness hotel ENZIAN at Seis - South Tyrol! We invite you to have a look at our hotel and are looking forward to welcoming you. We offer you an atmosphere which is modern, familiar and elegant at the same time. Our pride and joy are the new wellness an beauty area and our cuisine as well.